ALTAMIRA, Brazil, Jun 19 2015 (IPS) - Extensive public health infrastructure and the eradication of malaria will be the most important legacy of the construction of the Belo Monte hydropower dam in Brazil’s Amazon jungle for the population affected by the megaproject. In the six municipalities in the area of the dam, where an action plan to curb malaria has been implemented, the number of cases plunged nearly 96 percent between 2011 and 2015: from 3,298 in the period January to March 2011, just before construction began, to 141 in the same period this year. Two municipalities have had no cases this year as of May, said Dr. José Ladislau, health manager for Norte Energía, the consortium of private companies and public enterprises that won the concession to build and run Belo Monte for 35 years. “For the past two years no one has fallen ill with malaria in Brasil Novo – that’s the best news,” said Noedson Carvalho, health secretary of that municipality which is located 45 km from the Xingú river, where the giant hydroelectric dam with a capacity to generate 11,233 MW is being built. Malaria, which is endemic in the Amazon, is a major factor in rural poverty, Ladislau told IPS. And the Xingú river basin used to have one of the highest malaria rates in the country. The number of cases has plummeted throughout most of the northern state of Pará, where the lower and middle stretches of the Xingú river run, thanks to mass distribution of insecticide-treated mosquito nets and early diagnosis and treatment. The results in the vicinity of Belo Monte, where the rural population is highly vulnerable to malaria, were obtained through an 11-million-dollar offensive by Norte Energía which included the construction of laboratories and the purchase of vehicles and long-lasting mosquito nets. “Belo Monte has given Brasil Novo what it would not have obtained on its own in centuries,” Carvalho told IPS. He mentioned the 42-bed hospital and five basic health units, which now form part of the municipal public health system. The hospital was already there, but it was private. And due to financial problems, it had shut its doors in April 2014, leaving the 22,000 people of Brasil Novo without a hospital, just when demand was rising due to the influx of workers from other parts of the country, drawn by the Belo Monte construction project. “There are 30 births a month here, on average; it was a terrible situation to have no hospital in the city,” the municipal health secretary said. Basic health clinics were also upgraded or installed in the town. But the most serious cases will be sent to Altamira, the biggest city in the area, with a population of 140,000 according to unofficial estimates. 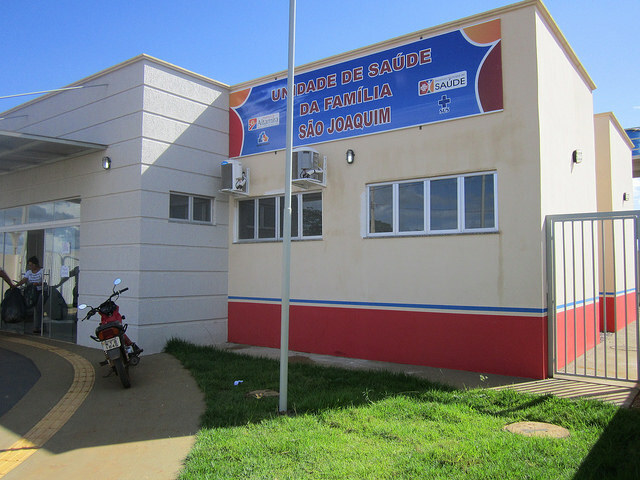 The Brasil Novo municipal government negotiated the purchase and renovation of the hospital, with funds from Norte Energía, through the Regional Sustainable Development Plan (PDRS). It will now be a public hospital catering to the entire population free of charge. The PDRS, funded by the company, is focused on implementing public policies and local projects. It comes on top of the Basic Environmental Project (PBA), a set of 117 initiatives and actions to be carried out by the consortium building the Belo Monte dam, as compensation for 11 municipalities affected by the hydropower plant. The total investment in these projects is 1.2 billion dollars – the biggest contribution to local development by a megaproject in Brazil. The investment, a condition for obtaining the necessary environmental permits, represents 14 percent of the Belo Monte construction project’s total budget. Three new and three renovated hospitals are the main health infrastructure provided to the 11 municipalities in question. The biggest one, the Altamira General Hospital, with 104 beds, including 10 in intensive care, is ready to open. It inherited equipment and staff from an old municipal hospital that had 98 beds and will be turned into a maternity and infant care centre. The new hospital has fully automated and centralised modern communication, lighting, air conditioning and piped water systems, and extremely strict hygiene with regard to uniforms, staff, waste disposal and sanitation, said Norte Energía’s health manager, Dr. Ladislau. There has been criticism that the investment did not sufficiently increase hospital capacity, because the number of beds was limited by the size of the existing hospitals that were remodeled or expanded. But Ladislau said it made no sense to create too big a system, with high maintenance and operating costs that poor municipalities would find it hard to face. “The idea is to build a strong health network in this region of 11 municipalities…with a focus on primary health care,” and to that end Norte Energía built 30 basic health units, distributed in five municipalities, with seven in Altamira alone, he said. “With the new health centres, improved sanitation and other preventive measures, the pressure on hospital beds will be reduced,” he said. Some 1,500 children under five are admitted to the Altamira Municipal Hospital annually, most of them for diarrhea – a problem that is avoidable with good sanitation, he pointed out. The resettlement of families from houses on stilts on lakes and other areas to be flooded by the Belo Monte dam in new neighbourhoods built on high ground will significantly reduce the incidence of diarrhea, he said. The basic health units installed in those neighbourhoods offer healthcare, dental care, home visits, health promotion and disease prevention, and a system of statistics to put together community health profiles making it possible to plan purchases of medicines, syringes and other supplies, said Ladislau. The infrastructure provided by Norte Energía will depend on the municipal administration and staff which will provide services, including maintenance. 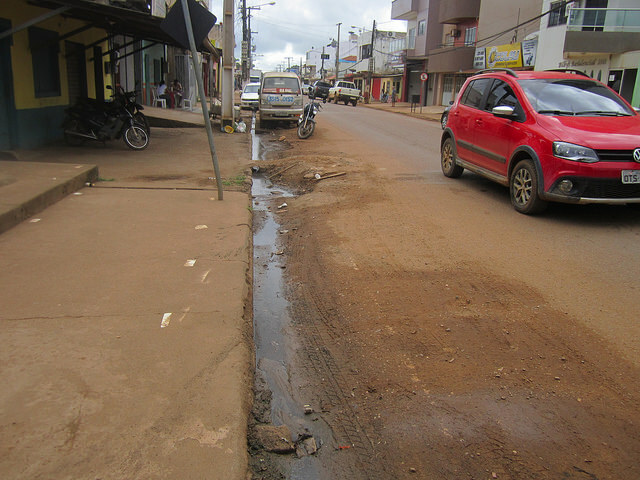 Brasil Novo is an impoverished municipality that will receive very little in the way of royalties from Belo Monte, and will find it hard to keep the hospital running, the local health secretary Carvalho admitted. But there will be no shortage of doctors thanks to the central government’s More Doctors programme, which hired thousands of Cuban physicians willing to work in Brazil’s hinterland, and which is also managing to get Brazilian doctors to participate, he said. But a hospital needs surgeons and other specialists who are more difficult to draw to towns in the Amazon. 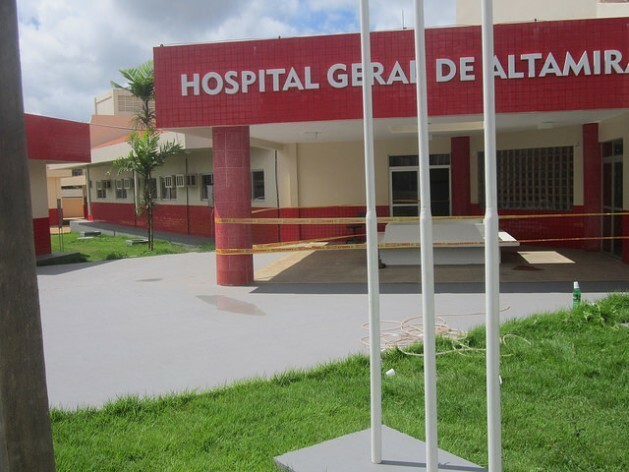 There is a risk that hospitals with 32 to 42 beds in Brasil Novo and two other municipalities will be underused, because the local populations range from 15,000 to 25,000 people, and the most serious or complex cases will be referred to the bigger and better equipped hospitals in Altamira. One illustration of the difficulty in attracting qualified personnel was the attempt to open a medical school on the Altamira campus of the Federal University of Pará, which failed due to the dearth of professors with a doctorate degree. Local residents also criticise the company for delays in the health projects, which were supposed to get underway earlier in order to meet the increased demand caused by the influx of workers from other regions. The delays were aggravated by the temporary closure of the health services to build new installations. That happened, for example, in the case of the General Hospital, a large facility that used to be a modest primary health clinic in a poor neighbourhood in Altamira. “What was already precarious is now even worse,” said Marcelo Salazar, head of the non-governmental Socioenvironmental Institute in Altamira. You put a nice topspin on this, but the fact is Belo Monte over the long haul is a failure; for the environment, for indigenous Amazonian peoples, and for a future that now sees less as more. The headline is wrong. The dam does not bring the health infrastructure. That infrastructure is being bought at a very high cost.